My family’s journey to year round homeschooling is a bit different than most. 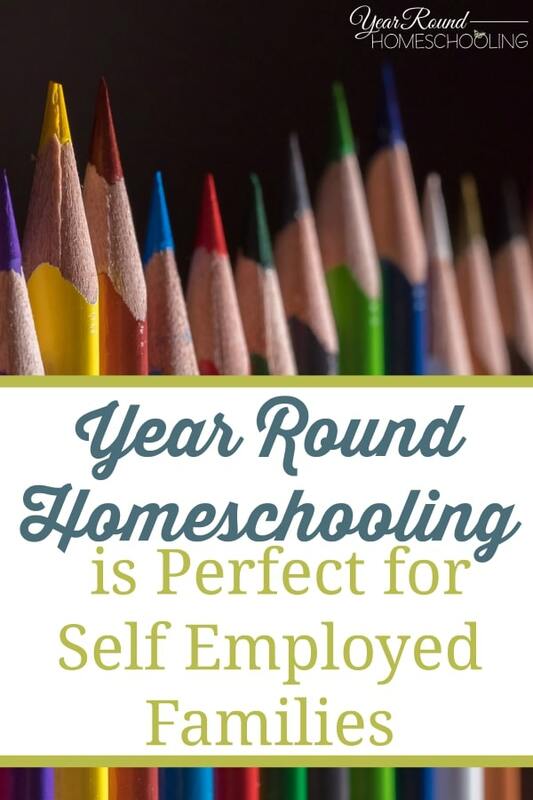 The biggest reason I decided to try out year round homeschooling was because my husband and I are both self employed. Add to the fact that he is a fisherman, so his days off are run by the weather and that can create a homeschool nightmare. Our kids wanted to be off when dad was off because often 2-3 days would pass when he wouldn’t see them at all because of the 16-20 hour days a fisherman works. I knew something had to change because anytime daddy was home the kids would beg to have the day off because daddy had the day off. Another reason that I decided to try out year round homeschooling was because the 3 months of summer, though they are short to me, they seemed like “forever” to my kids. Barely a month into the summer and daily I began hearing a phrase that drove me crazy. I’m bored. 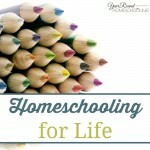 I began researching all of the different schedules that year round homeschoolers used. While I found a few schedules online, none of them seemed to fit my family’s schedule. So, I created my own that fits our family perfectly, so far. I know that life will continue to change and thus our schedule may need to change in the future. 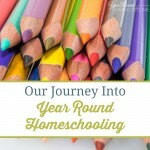 We’re going into our 3rd year of year round homeschooling and loving it! The schedule we currently have is set up by quarter. The only assigned days off that we take are my son’s birthday and the major holidays, (Labor Day, Thanksgiving Day, New Year’s Day, Memorial Day and 4th of July). We kick off our school year on the day after Labor Day every year, below you’ll find the schedule we follow each year. In Maine I’m required to homeschool for 165 days, so if we hit that before the end of July and we’ve completed that year’s school work then we stop early. This year we ended the second week of July, so instead of only a 4 week break, we ended up with a 6 week break! August is spent planning our new school year and that’s lots of fun for me! I love planning! The kids have fun all month long because it’s their month of vacation. Before becoming year round homeschoolers it was VERY difficult to plan in August because they were tired of summer and were bored! With just under two weeks before school kicks off, I only have spelling left to plan. I’m excited to begin and the kids can’t wait to dig into their new books! 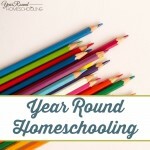 I’d love to hear what schedule you follow as a year round homeschooler, meet me in the comments? Follow all our encouraging year round homeschooling stories by visiting our Pinterest board below. 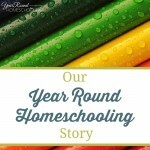 Follow Misty Leask’s board Homeschooling Year Round Stories on Pinterest. It would help us to get finish getting what we need to get started. This is our first year homeschooling, so I have run into some goof ups on curriculum. We are a one income, one car family and buying curriculum and supplies can get a little tricky sometimes. I could definitely use the money for those things. This pack will help my family as a new homeschooling family. I am blessed to have found this website. Thank you, from a new Maine homeschooling mom. As a single income household with two children, winning the giveaway would bless my family by solving the mystery of where we will find the money for the next levels of our curriculums. It would certainly mean a stress free beginning to the new school year! We’re doing Tapestry of Grace this year, and the books are starting to get pricey! We’re trying to use the library, but many books aren’t available. We need more of the mandatory books, as well as science supplies for the biology kids this year. A microscope would be a true blessing!! It would help us purchase more books. It would be money used towards music lessons that are quite expensive! Thank you for offering this giveaway! Any family will greatly benefit from it. It would give us more freedom in materials and school supplies. This is our first year of homeschool. With this money we would be able to purchase supplies and supplemental items we need for Homeschool as well as have the funds for field trips and other activities. As a single unemployed (at present) mama of 4 this would be VERY helpful in the purchasing of curriculum for my kiddos. This would help us to buy the books needed to go along with our studies. I have an Amazon wish list that I would love to eliminate with this giveaway!!! We could really use more curriculum and math manipulatives for our 3 kids! Thanks! What an awesome giveaway. We are currently using the library and other free materials for homeschooling. We would use this blessing to purchase good literature and reference books. This would so welcomed here! Thank you for the opportunity! We have five children and we could always use more money for schooling so that we could do more field trips and stuff, along with the expensive school supplies and curriculum. This is our first year homeschooling so we’re just getting set up. The money would help with buying a quality printer, laminator, and basic supplies. Just starting out with home schooling my 7 year old daughter… both my husband and I are disabled so buying all kinds of materials that I’d like to use is impossible. So, we will do what we can… but a gift in the ‘ol paypal account would surely get us some nice supplies! She’s more of a hands on learner than a book learner, so I’ll have to figure out ways to keep her engaged. Trying to homeschool on a single income is difficult, especially now that gas and food prices have gone through the roof. I plan our entire curriculum myself, and after 4 years I’ve gotten very good at ideas but have to really search for bargains to carry them out. The prize would help me purchase much-needed supplies and ebooks to make my boys’ school year spectacular. I am loving this site with it’s encouragement and ideas! It would bless us to purchase curriculum and tools (used ipad/laptop, etc.). Right now I’m attempting to homeschool 4 children with varying special needs (developmental and speech delays, etc.) with what I can find for free and piece together from resale shops because this is what we can afford. No complaining though, God will make a way somehow!! 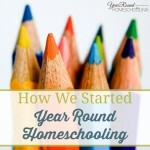 We started homeschooling in February of this year with an online Charter School. My son and I are both ADHD and it just doesnt work for us. Winning would help us with purchasing and trying out different things to figure out how to make this a lasting way to live and educate my son. Lisa- one of my boys is ADD and hands on stuff really helps him!! You may look at the Cathy Duffy website to see what she says about hands on stuff. It’s really helped us! I would love to win this giveaway because like most homeschooling families we live on a tight budget to make it possible. I think it’s really cool that your doing this giveaway, this will really bless someone! And I pray God leads you to choose the right person. Let’s be honest. We would all love to win a giveway! Our income was cut in half last year. We have made as many changes and cut expenses as much as possible. Stepping out into homeschool right now is a huge step of faith trusting that God will provide. Our current budget is $500 negative for our monthly needs. Yet, every month God provides what we don’t have. It this is a tool for him to provide, that would be cool. But if not, I know that He will provide in a different way. Winning this giveaway would allow us to get all the curriculum at one time and maybe move away from using the cheaper supplemental workbooks that we now use as the main curriculum. My daughter is taking her first high school class this year. It’s a toughie, and has required multiple books. It’s been quite expensive. I’d love to balance that with something fun when she finishes it. This Giveaway will support and help our homeschooling greatly, especially in homeschooling highschool students. The cost, challenge, and demand are all far greater than previous elementary years. Thank you for this giveaway. As a military, homeschooling family, we could really use a bit of help towards the stuff we need! What a blessing this would be! We are a single parent home and money has been super tight this year. So this would actually buy our curriculum this year. I am still blessed beyond anything! Winning this giveaway would help us gather the remaining supplies for our first year homeschooling. We are doing this year mostly free because finances are tight however this money would bless us greatly and allow us to actually purchase some fun stuff for the 3 kids!